Neil from the Scotlanders has assigned himself a rather difficult task – picking Scotland’s top castle destinations! One of my biggest passions when it comes to Scotland is delving into our fabulous history. With never a dull moment and generally with some sort of scrap ominously imminent, Scottish history tends to shape my travels around this country. How do you pick a castle? A question that I’m often posed and that always results in a healthy debate, involves our fabulous range of castles – specifically which ones should be on everyone’s itinerary. Which is the most beautiful? The best designed? Has the nicest location? The goriest history? Click on the points on the map below for images of our top Scottish castles, and find out more about them in the green bar on the right. 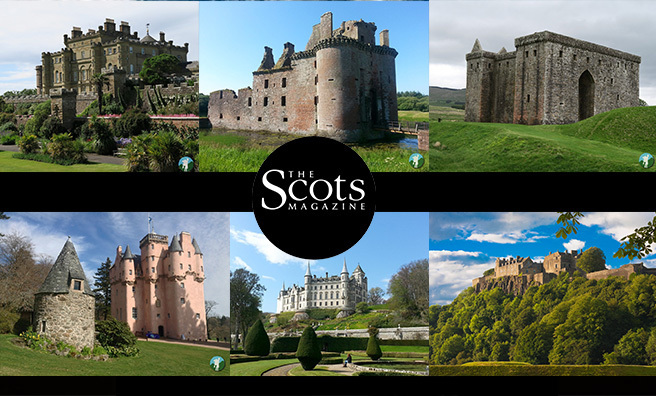 Neil’s list will keep getting updated as he visits more castles, and once we’ve covered them all it’ll be over to you to decide The Scots Magazine’s Ultimate Scottish Castle! What Scottish castle would you like to see in future updates? Get in touch on Twitter and let us know!